Description: A group of apartheid protesters picket the South African Consulate at 100 Charles River Plaza in Boston. Police officers stand at the door to the consulate. Willard Johnson (Head of TransAfrica) speaks to the crowd of picketers through a bullhorn. 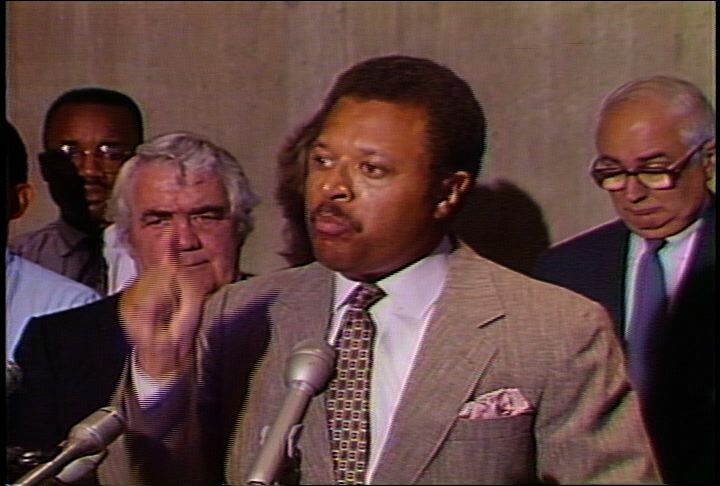 Themba Vilakazi (member of the African National Congress) addresses the crowd, condemning the South African government and criticizing Ronald Reagan for engaging in a policy of "constructive engagement" with the South African government. City Councilor Charles Yancey addresses the crowd, praising Bishop Desmond Tutu and urging the protesters to engage in acts of civil disobedience to protest apartheid. Community activist Mel King addresses the crowd, calling for the resignation of Richard Blankstein (honorary consul to South Africa). King criticizes the Reagan administration's policies in South Africa and talks about the need for large companies to divest from South Africa. Charles Stith (Union United Methodist Church) stands beside the speakers. Johnson expresses his support for Nelson Mandela and all those fighting apartheid in South Africa. 1:00:00: Visual: The WGBH camera crew sets up its equipment. A diverse group of anti-apartheid protestors picket the South African Consulate at 100 Charles River Plaza. More than 100 protestors carry signs and chant, "1, 2, 3, 4, let's close the consulate door." Shot of a white protest leader leading the chant with a bullhorn. 1:02:48: V: A police officer stands in front of the entrance to the building. He carries a two-way radio. Another officer stands with him. 1:03:20: V: The protestors continue to picket, chanting "Hey, hey, ho, ho, this consulate has got to go." Willard Johnson (head of TransAfrica) speaks to the crowd of picketers through a bullhorn. He urges them to keep the picket line moving. 1:04:19: V: Themba Vilakazi (member, African National Congress) speaks to the crowd about the struggle of black South Africans. Vilakazi criticizes the policies of the ruling government in South Africa. He says that the South African government in engaged in a brutal repression of the residents of black townships. Vilakazi says that the African National Congress (ANC) welcomes worldwide condemnation of the white regime. Vilakazi criticizes the policy of Ronald Reagan (US President) toward South Africa. Vilakazi condemns the Reagan administration's policy of "constructive engagement" with the ruling government. Vilakazi praises the actions of three US political leaders who encouraged an anti-apartheid sit-in at the South African embassy in Washington DC. Vilakazi encourages anti-apartheid protestors across the world. Shots of the picketers. Vilakazi talks about the ANC struggle for freedom in South Africa. Vilakazi closes his speech by saying, "We will win." The protestors chant, "We will win." 1:07:10: V: Johnson introduces Charles Yancey (Boston City Council). Johnson says that Yancey introduced legislation in the City Council for the divestment of city funds from South Africa. Yancey talks about his "unceasing opposition" to the policies of apartheid. Yancey criticizes the repression of blacks in South Africa. Other protest leaders help Yancey to adjust the bullhorn. Yancey says that the international community cannot tolerate the apartheid policies of the South African government. Yancey talks about the previous day's visit to Boston by Bishop Desmond Tutu (South African anti-apartheid leader). Yancey notes that Tutu has been awarded the Nobel Peace Prize. Yancey calls on all people to join the protest against apartheid. Yancey criticizes the federal government's policy toward South Africa. Yancey talks about the importance of acts of civil disobedience in opposing apartheid in South Africa. The crowd applauds. 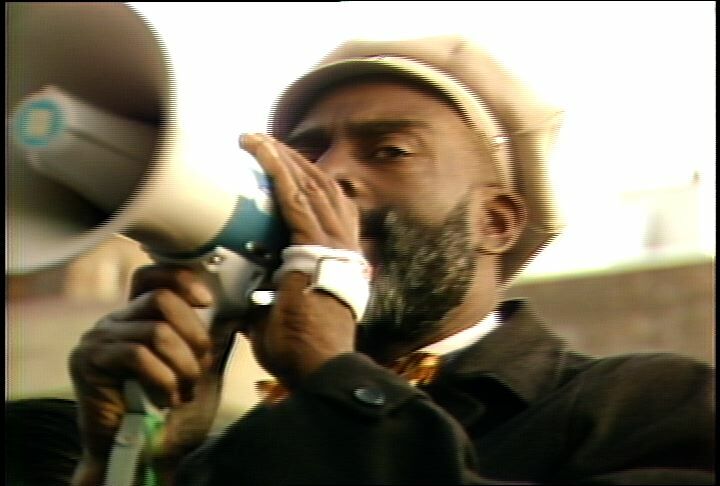 1:10:15: V: The crowd applauds as Mel King (political activist) takes the bullhorn. King thanks the protestors for coming out to protest. Reverend Charles Stith (Union United Methodist Church) stands next to King. King challenges Richard Blankstein (honorary consul to South Africa) to come down from the consulate and speak to the protestors. King challenges Blankstein to resign in protest of the South African government's apartheid policies. King accuses the Reagan administration of engaging in racist policies in South Africa. King says that protestors will picket multi-national corporations who do business in South Africa; that large corporations need to divest from South Africa. King accuses these corporations of supporting apartheid. King talks about a South African trade union leader who has been jailed by the South African government. King says that the trade union leader has encouraged US protestors to push for corporate divestiture from South Africa. King calls for an end to Reagan's policies and an end to apartheid. 1:14:16: V: Johnson puts on a hat with a sign pinned to it. The sign reads, "For shame." Johnson addresses the crowd. Johnson quotes Nelson Mandela (ANC leader) as saying that he is prepared to die for a free South Africa. Johnson expresses support for Mandela and the black South Africans who are fighting apartheid. Description: David Boeri reports that African American community leaders and city officials have proposed to build the new headquarters of the Massachusetts Water Resources Authority (MWRA) in Roxbury. The MWRA headquarters would be the cornerstone in a project to develop Parcel 18, located near the Ruggles MBTA station. At a press conference with city officials and African American leaders, Charles Stith (Union United Methodist Church), Bruce Bolling (Boston City Council), mayor Ray Flynn, Harold Hestnes (member of "The Vault"), and James Kelly (Boston City Council) all speak out in favor of Parcel 18. The Massachusetts State Legislature is also considering the city of Quincy for the MWRA site. African American leaders are asking state legislators to show their support for the African American community by choosing Parcel 18. State Sen. Paul Harold speaks to the media and says that Quincy is the right place for the MWRA headquarters. At a press conference Paul Levy of the MWRA says that the MWRA site does not have to be in Quincy. 1:00:08: V: Footage of Bruce Bolling (Boston City Council) at a press conference. Supporters stand behind him. Bolling says that "this project won on the merits." 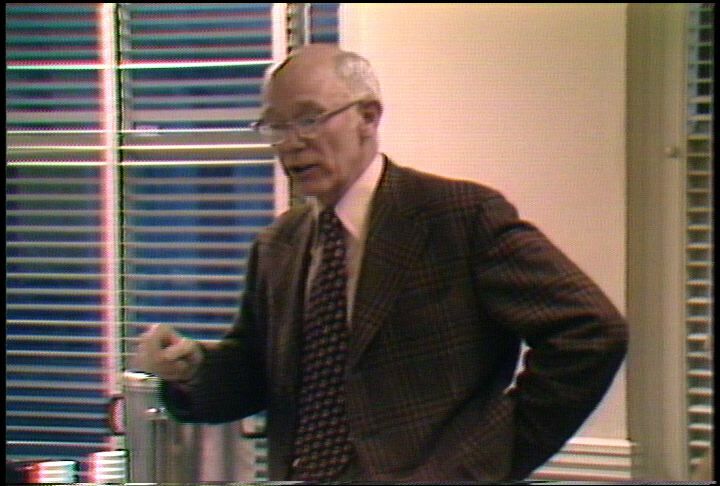 Footage of Charles Stith (Union United Methodist Church) saying that the project is very important to the community; that the Massachusetts Water Resources Authority (MWRA) must locate its headquarters on Parcel 18. Shots of the vacant land of Parcel 18 in Roxbury. Shot of the Ruggles MBTA station and the Boston skyline visible from Parcel 18. Shots of traffic on the street near Parcel 18. David Boeri reports that the development of Parcel 18 is part of a plan to bring jobs and development to Roxbury. Boeri notes that the development of Parcel 18 is a $200 million public/private venture; that the venture includes minority developers. V: Shots of two people entering the Ruggles MBTA station. Boeri reports that the MWRA would be the major tenant in the development. V: Shot of Parcel 18. Shot through a chain-link fence of the Boston skyline looming above Parcel 18. Boeri reports that the Massachusetts state legislators are considering other sites for the MWRA headquarters; that supporters of Parcel 18 development are lobbying for the MWRA to be located on Parcel 18. V: Footage of Bolling saying that people of color are told that they will be treated fairly in this country. Bolling says that the process should not be manipulated to prevent people of color from receiving their due. Shots of members of the media and the audience at the press conference. Boeri reports that African American leaders consider the MWRA vote to be a crucial litmus test for state legislators on the issue of race. V: Footage of Stith saying that many "progressive politicians" seem to lack the courage to stand up for their principles. Shots of Bolling; of other Parcel 18 supporters at the press conference. Boeri reports that the coalition at the press conference was assembled by Ray Flynn (Mayor of Boston); that the coalition includes members of "The Vault" (Boston's powerful financial leaders). V: Footage of Harold Hestnes (member of "The Vault") speaking at the press conference. Hestnes says that the development of Parcel 18 would create a "climate of financial responsibility." Maura Hennigan (Boston City Council) is visible behind Hestnes. Shots of Richard Voke (State Representative) and David Scondras (Boston City Council) at the press conference. Boeri notes that the coalition is broad enough to include James Kelly (Boston City Council). V: Footage of Kelly turning around to look at the coalition standing behind him. Stith puts his hand on Kelly's shoulder and says, "You're with your own." The Parcel 18 supporters laugh along with Kelly. Shot of a reporter at the press conference. Boeri reports that Flynn believes that the development should proceed because it represents social justice and good business sense. V: Footage of Flynn at the press conference. Flynn says that this is a good opportunity for state legislators to prove their commitment to social and economic justice. Flynn says that the people of Roxbury have been disenfranchised and "left behind" in the past. Shot of a coalition member at the press conference. Boeri reports that the city of Quincy is competing with Parcel 18 for the MWRA headquarters. Boeri notes that Quincy will be the repository of the sludge from the Boston Harbor Cleanup project. V: Footage of Paul Harold (State Senator from Quincy) speaking to the media in a park. Harold says that the issue revolves around the survival of a sewage plant, a sludge plant and a landfill facility. Harold says that Parcel 18 has nothing to do with the real issue. Boeri reports that Paul Levy (Executive Director, MWRA) made a controversial decision today. V: Footage of Levy at an MWRA press conference. Levy says that Quincy must receive a premium from the MWRA; that the MWRA is open to discussing compensation for the city of Quincy. Levy says that compensation should not include locating the MWRA headquarters in the city. Footage of Harold saying that state officials have been ill advised on the issue. Harold says that the issue should have been decided days ago. Boeri stands in front of the Massachusetts State House. Boeri reports that the Parcel 18 coalition is trying to pressure a few state legislators to support Parcel 18. Boeri notes that the votes of those legislators will be necessary for Michael Dukakis (Governor of Massachusetts) to sustain his veto of any vote which tries to move the MWRA headquarters from Roxbury to Quincy. Boeri notes with irony that the MWRA was created by state legislators to remove politics from the Harbor Cleanup Project. Description: Interviews with Arab students at local college. They discuss the prejudice they experience and their conflicting loyalties in the Persian Gulf war. They say people should not be targeting Arabs, Muslims, or Iraqis in general, but Saddam Hussein. Description: Nantucket shore sunset. Several takes of reporter standup. 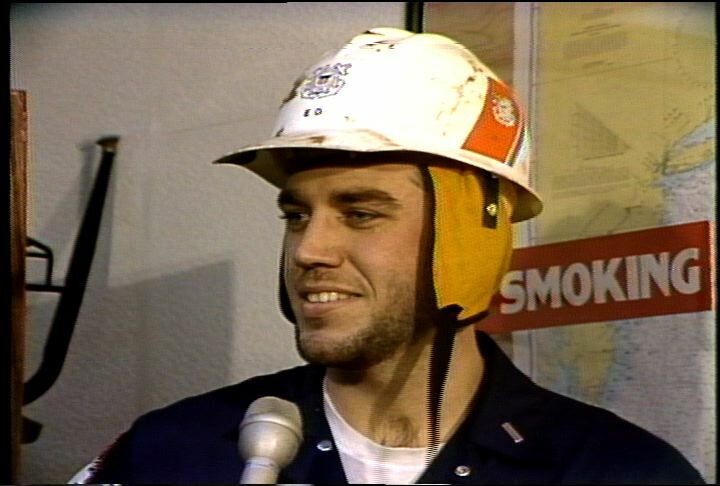 Reporter interviews John Clay, engineering officer who was working on the Argo Merchant oil spill. Clay points out the effects of the oil spill on the major fishing areas off the coast of Massachusetts, including the Georges Bank. Nantucket shore with ice and snow, seagulls. Description: Reporter David Boeri walks with Sam Cook, age 24, retired auto thief and part seller. Cook explains his specialties being Chevrolet Camaro IROC-Z, Pontiac Firebird Trans Am, Chevrolet Monte Carlo Super Sport, and customized vans. MDC officer Robert Springer and State Trooper Richard Connolly of Governor's Auto Theft Strike force comment on Cook's theft and similar theft in other cities. 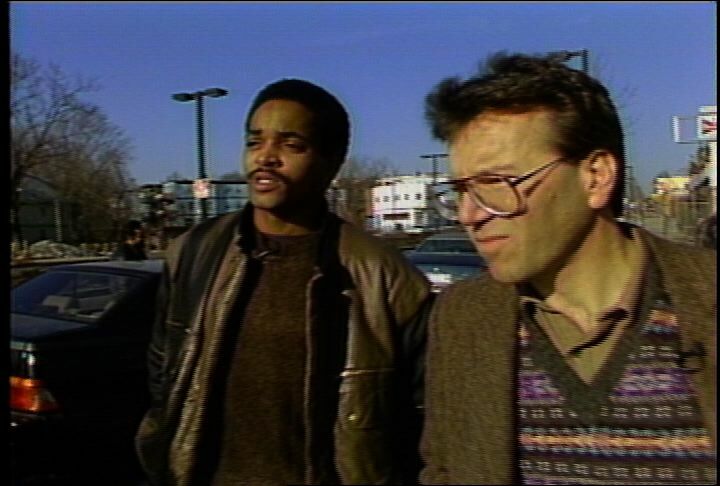 50,000 cars were stolen in Boston in 1987: most in the country. Cook explains that auto thieves look for parts of cars rather than reselling whole cars. Cook now works for City of Boston as a parking enforcement officer. 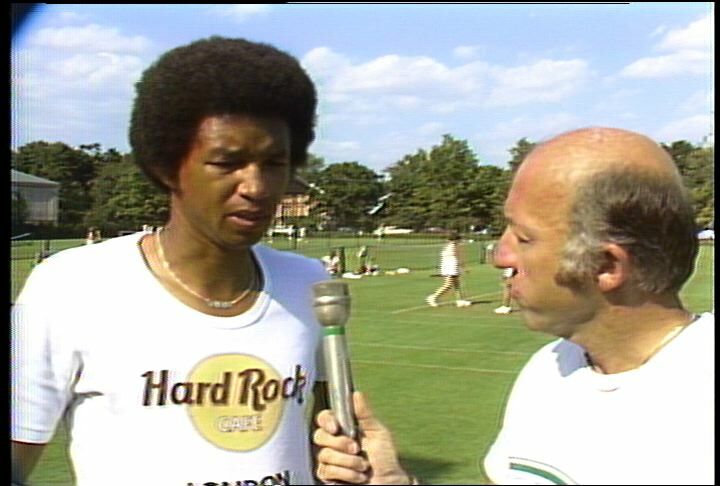 Description: Bud Collins interviews Arthur Ashe at Longwood Cricket Club about playing tennis on different court surfaces. Ashe wears Hard Rock Cafe t-shirt. Game play from match in US Pro tournament: Ramirez vs Dominguez. 1:00:00: Audio on tape is muffled. Visual: Arthur Garrity (federal judge) speaks before a biracial community meeting about Boston schools and court-ordered desegregation. Garrity speaks about the importance of good communication between the organizations involved in the schools. He says that the parents on the Citywide Parents Advisory Council (CPAC) are interested in working with the Citywide Coordinating Council (CCC) in organizing meetings about the schools. Garrity closes his talk by saying that he is offering suggestions, not directives. Hubert Jones (African American community activist) informally thanks Garrity. Garrity sits down in a chair next to Jones. 1:02:43: V: Garrity takes questions from audience members. Garrity responds to a question, saying that he will consult with all of the lawyers involved in the school desegregation case before putting anything into the court order; that he will schedule a series of hearings for the 1976-77 school year. Garrity says that the hearings might be held in late February or early March. A meeting member asks Garrity to comment on the group's idea to hold community forums in the neighborhoods, so that parents can give suggestions and air their grievances. Garrity agrees that the community hearings are a good idea. He suggests that a few members of the CCC and the CPAC should be present at the forums; that these members should be well informed in order to combat inaccurate information and false rumors; that members should feel free to ask him for the statistics and facts before going to the hearings. A meeting member asks Garrity if the CCC should have an attorney present for the court hearings. Garrity says that the CCC is not a party to the lawsuit; that the CCC might be seen as a distraction in the court. The member asks how the CCC can get feedback from the court. Garrity says that he is looking for constructive proposals for changes in the desegregation plan; that he hopes the community forums will provide these constructive proposals for change. Garrity adds that he receives other reports which do not call for action. A meeting member asks how Garrity would define the role of the CCC. Garrity says that he appreciates the efforts of CCC mediators in diffusing the tense situation in South Boston; that the most important function of the CCC is to monitor how the desegregation plan is carried out across the city. 1:13:41: V: A meeting member tells Garrity that members of the community see the CCC as a council which can take action and solve problems. Garrity responds that the CCC can publicize information and draw attention to problems. Garrity reads a letter that he received about problems at the Blackstone School. Garrity says that he hopes the CCC can delegate members to investigate problems at the schools in order to get them resolved. Garrity says that he would like the CCC to help solve these problems; that he would rather not try to resolve problems at individual schools through the court order. An audience member says that there is some confusion regarding the roles of the CCC and the CPAC. Garrity says that the Racial Ethnic Parents Councils under the CPAC exist to promote communication on racial issues in the schools; that the councils have also taken action on educational issues in the schools. Garrity notes that the CPAC has no staff or resources; that the CCC can support the CPAC and the Racial Ethnic Parents Councils. Garrity refers to a decision by the US Court of Appeals regarding the schools. Description: Doctor in a research lab at MIT, going through the process of making artificial skin. Shots of the machines used. Editor's note: Content given off the record was edited out of this footage. 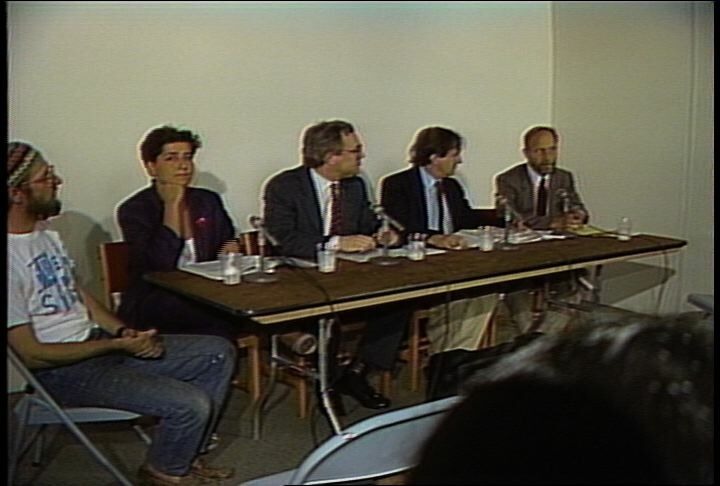 Description: At ICA, advocates of freedom of expression defend the Mapplethorpe exhibit. Opponents at State House press conference claim the photos are obscene and should be censored. Discussion of what makes something art, what makes something obscene, and how to judge a community standard. 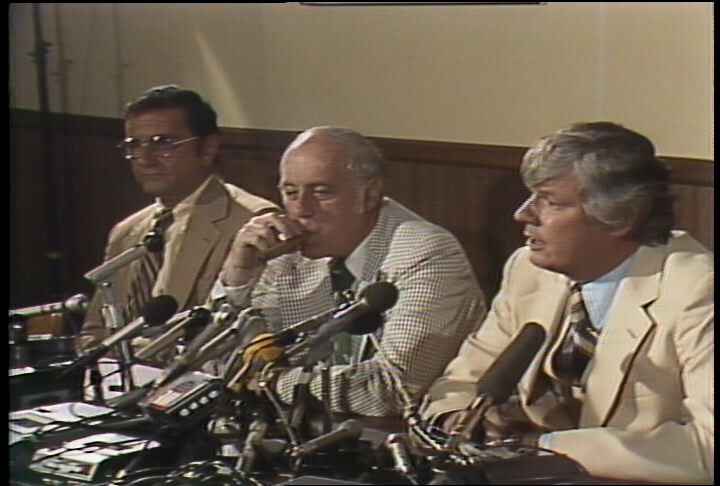 Description: At press conference Celtics general manager Red Auerbach introduces new owners John Y. 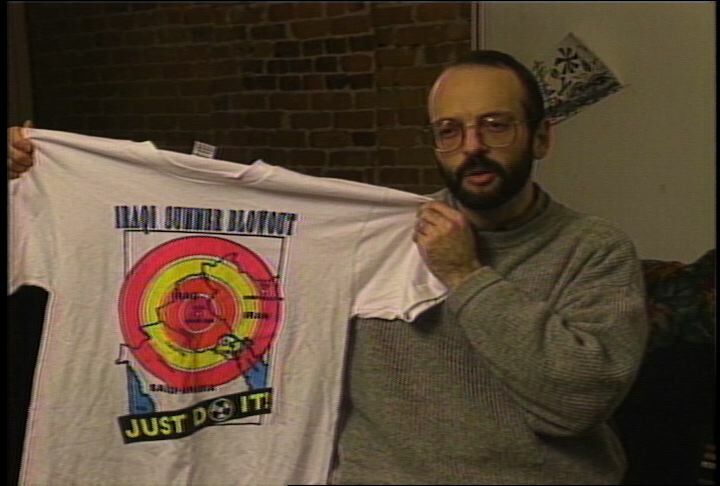 Brown and 'silent partner' Harry Mangurian. Brown expresses his wish for Red Auerbach to stay with the Celtics. He says he's an active owner and talks about how he became an owner and his plans for the Celtics. He answers other questions from the press. Red Auerbach smokes a cigar throughout. Press asks Auerbach about the decision he has to make about whether to stay with the Celtics. Leprechaun logo on Celtics banner.